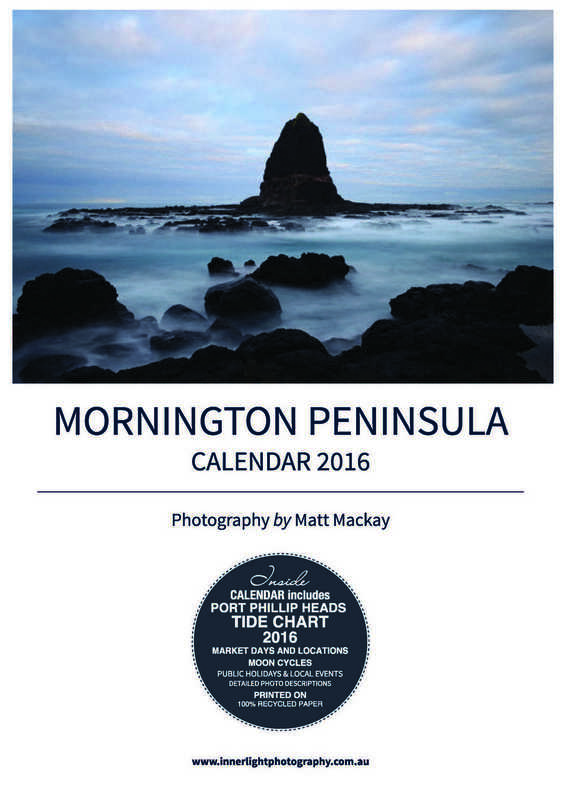 Local Photographer and Surfer, Matt Mackay, has just produced a stunning 2016 Mornington Peninsula Calendar but what makes this Calendar special/unique is not only the beautiful images from all over the peninsula but it also includes the Port Philip Heads Tides on each monthly page. Matt explains- “as a surfer myself i know how important the tide info is to not only local surfers but also divers,sailors, fishermen etc”. I’ve also tried to produce the most environmentally-friendly calendar-printed in Australia on 100% recycled paper using “Waterless Printing Technology” and no plastic shrink-wrap! 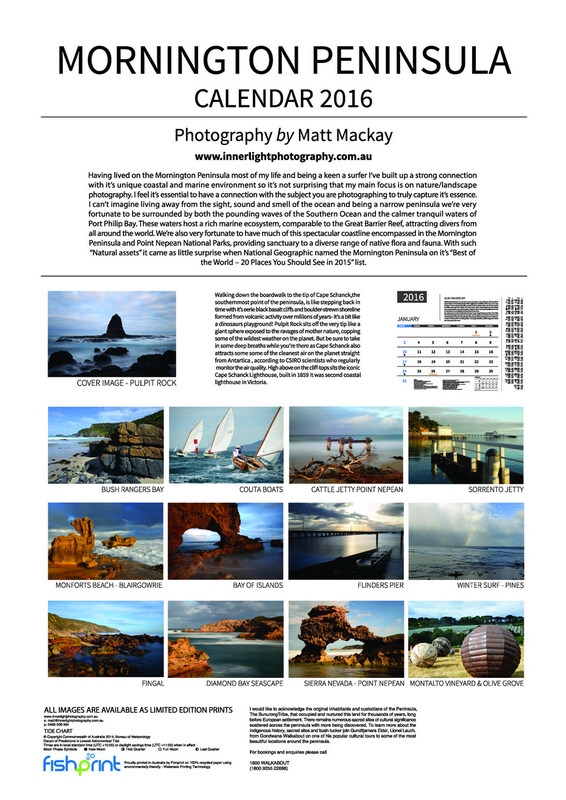 The Calendar also includes local market dates and detailed photo descriptions with interesting local tips and info. Trigger Bros are proud be stocking this stunning “locally-produced” A3 Calendar at our Point Leo, Sorrento and Frankston stores and at just $28.00 makes a great Christmas present.